What makes this tour magical is the diversity of the destinations you’ll visit, which allow you to experience all of the country’s different cultures and traditions. The incredible cities will give you a taste of modern ‘down under’, whilst your visit to the outback offers an authentic insight into the country’s rugged natural beauty and ancient culture. As always with a Distant Journeys tour, you’ll also enjoy a number of once-in-a-lifetime experiences. For example, you’ll have the chance to discover The Great Barrier Reef; explore the wonderful wildlife on Kangaroo Island; spend a night on the legendary Ghan; and enjoy an enchanting cruise on Katherine Gorge. 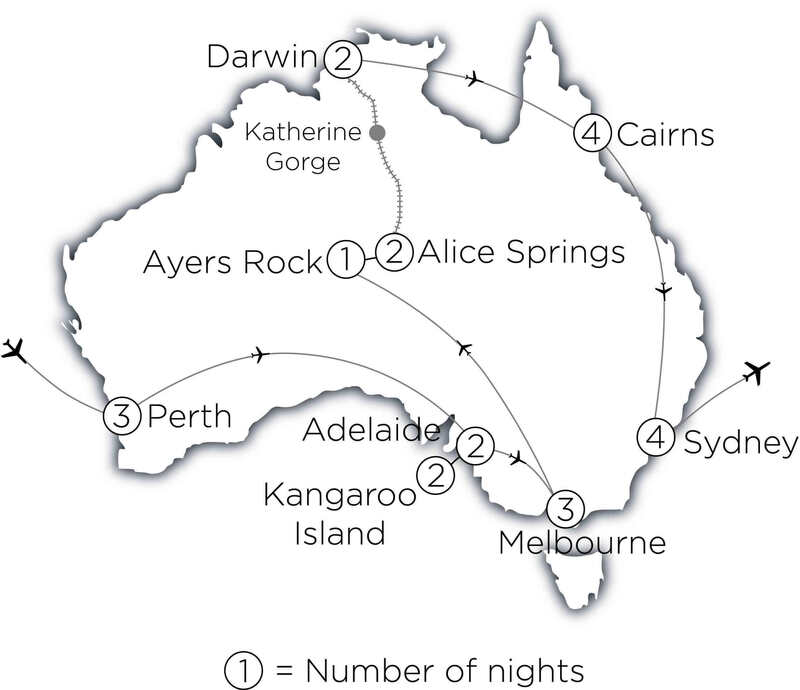 Get ready to discover Australia on Distant Journeys’ The Very Best of Australia Tour. This 29-day escorted holiday to Australia includes so many highlights and visits all the country’s must-see attractions. We explore the country’s breath-taking scenery, vibrant cities and rich local culture – and experience an unforgettable overnight train journey aboard the legendary Ghan. Our unhurried itinerary generally includes two or three night stops in each destination, allowing plenty of Freedom Days to fully explore each area at your own pace and discover the very best of Australia for yourself. Fly with Qantas or Emirates from the airport most convenient to you. Depart from Birmingham, Glasgow, London Heathrow, Manchester or Newcastle – whichever you depart from, there is no extra cost. The next two days of our itinerary are based on a stopover in Singapore. 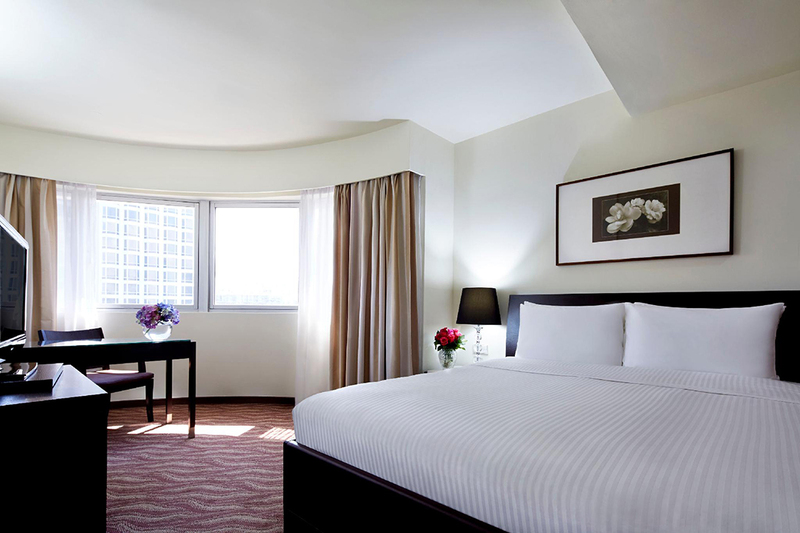 Upon arriving into this wonderful modern city, you’ll be staying close to the banks of the scenic Singapore River at the four-star Copthorne Kings Hotel, in a perfect location for exploring the city. Our London Heathrow flights travel to Singapore, where you can enjoy a 2-night stopover. 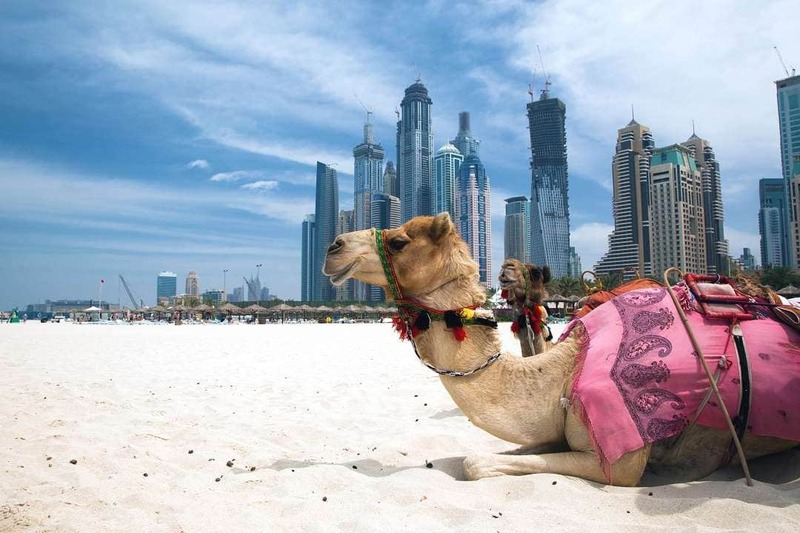 All of other our UK flights will travel via Dubai, where there is also a 2-day stopover. 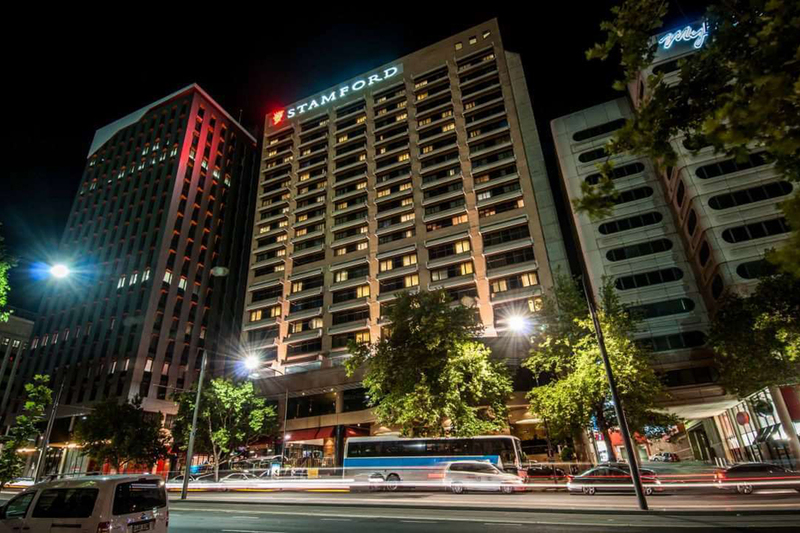 There is also the option to spend an extra two nights in Perth for the same price. Flight times will vary depending on your choice – get in touch with one of our personal travel experts for more details. Wherever you choose to spend your stopover, transfers, accommodation and breakfast are all included, whilst Dubai stopovers also include a sightseeing tour of the city. 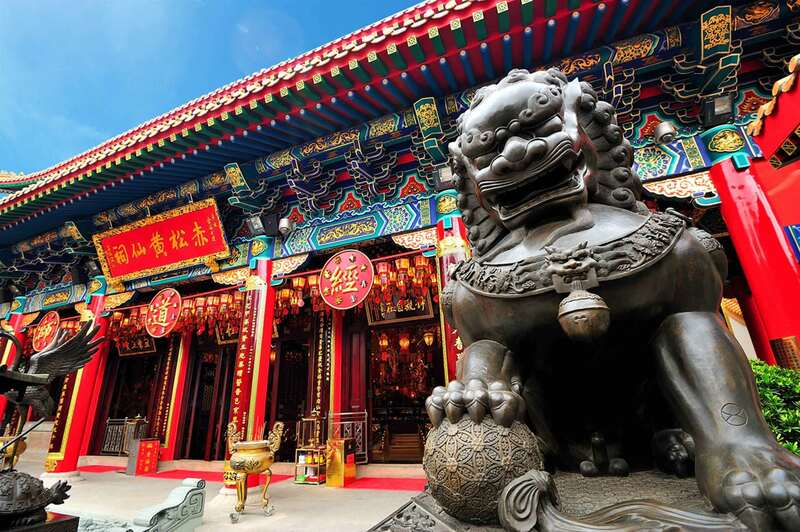 Singapore is one of the most exciting destinations in all of Asia, a real melting pot where Chinese, Indian and Malay cultures have merged with Western influences to create a vibrant and city. This morning you’ll embark on a tour to take in the main highlights of the city, such as the ethnic quarters that have helped make the city what it is today; the waterfront Merlion Park, home to the famous Merlion Statue, a national symbol of Singapore; and the beautiful botanical gardens. 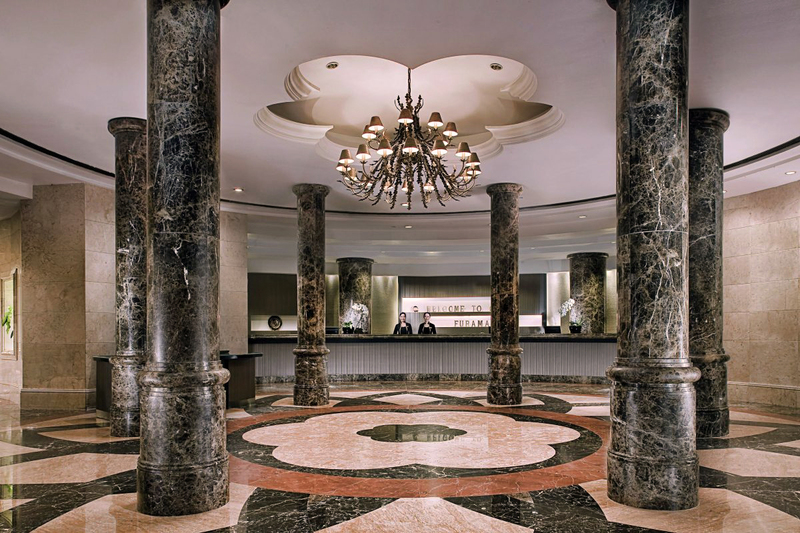 Your tour will return you to your hotel, from where you can enjoy the rest of your day as you wish. Spend the rest of your time in Singapore as you please until it’s time for us to head to the airport, ready for our evening flight to our first stop in Australia, Perth. 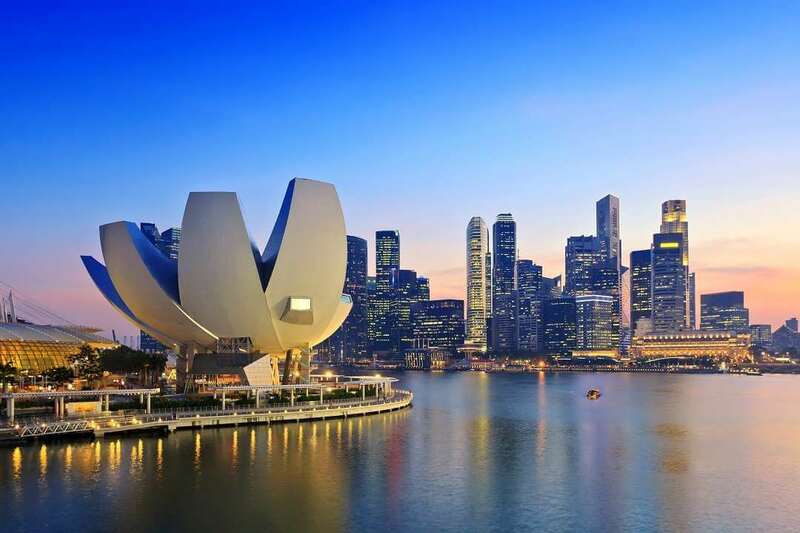 We can recommend a few suggestions for your second day in Singapore, such as high tea at Raffles, or perhaps a visit to nearby Sentosa Island, with its myriad of attractions including wildlife parks, cable cars and light shows. 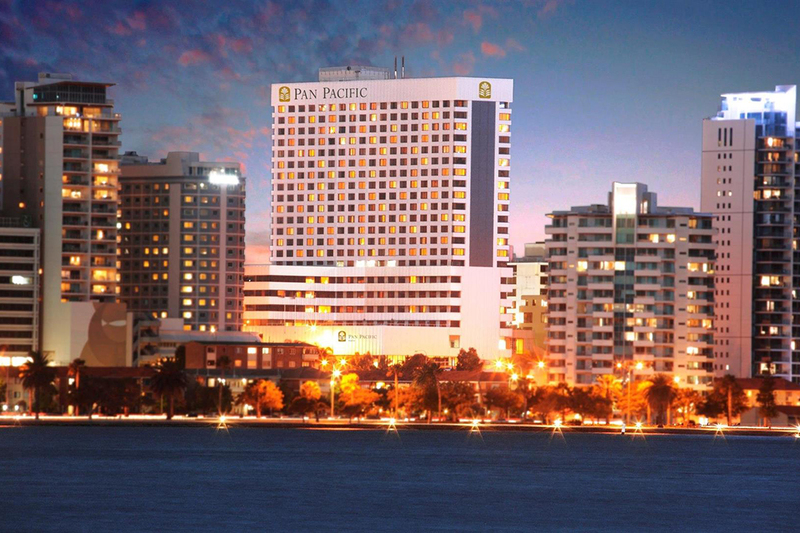 Once we arrive in Perth, we will clear customs and then head to the five-star Pan Pacific Hotel. Our first day in Perth, the capital of Western Australia and the world’s most isolated city, begins with a sightseeing tour of the city and the surrounding area. First of all, we’ll visit King’s Park, a landscape of bushland and pretty wild flowers, offering astounding views out over the city’s skyline. We will then take a small excursion to the nearby port town of Fremantle to pay a visit to the fascinating Shipwreck Galleries. The tour will end with a relaxing cruise along the Swan River back to our hotel, passing the Millionaire Mansions on the way. Day 6 is the first of our Freedom Days in Australia, where you can spend the day however you please. If you need a little guidance, our Distant Journeys Tour Manager will be there for you to offer expert advice and recommendations on things to do and places to eat, and they can also help to make any arrangements you may need or book additional excursions for you. On this first Freedom Day we also offer two optional excursions to some spectacular natural landscapes close to the city. The first is the Nambung National Park, home to hundreds of striking limestone towers known as the Pinnacles. Alternatively, you can take a trip to Rottnest Island, a protected nature reserve with a coastline of hidden coves and white sandy beaches. Rich in wildlife, here you can spot the quokka, a wallaby-like marsupial. However you choose to spend your first Freedom Day, enjoy! Our day on the amazing Kangaroo Island starts with a drive through breath-taking scenery to the Seal Bay Conservation Park, where a National Park Ranger will guide us amongst the colony of rare Australian sea lions who live on the beach. We’ll then get to wander among the gumtrees of the Hanson Bay Sanctuary, the next stop on our tour, to look for cuddly koalas. The afternoon will be spent at the Flinders Chase National Park, home to some of Australia’s best-known native wildlife. During your tour of this park, you’ll be able to spot wallabies, echidnas, koalas and the kangaroos which give the island its name. We’ll also take in some incredible scenery, travelling along the island’s southern coastline to the Remarkable Rocks, offering spectacular sea views and photo opportunities. Another natural landmark we will visit is the Admirals Arch boardwalk, where we will head down the rugged cliff face to the unique rock archway, natural nursery and the happy Long-Nosed Fur Seals which call this part of the island home. After a truly unforgettable day on Kangaroo Island, packed with incredible wildlife and scenery, it’s time to head back to our hotel for a second night. After meeting a variety of Australia’s wildlife up close and personal, it’s time to make our way back to the mainland by ferry. En route to Adelaide, we visit Australia’s oldest surviving German settlement in the quaint village of Hahndorf, with its tree-lined streets and original ‘Fachwerk’ buildings. 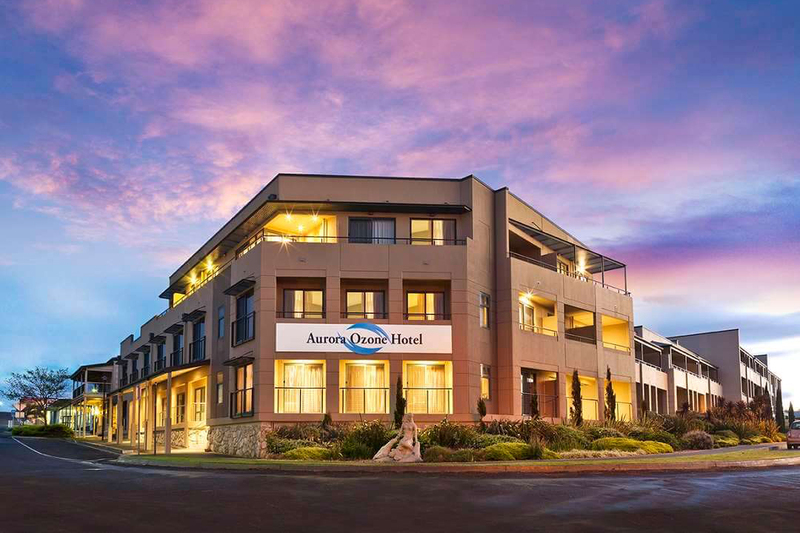 Surrounded by grassy parkland, picturesque hills and the Mount Lofty Range, Adelaide could scarcely present a more captivating aspect. During this afternoon’s sightseeing tour we will be introduced to Adelaide’s streets, ﬁne Victorian buildings and the attractive parks and gardens that surround the city. 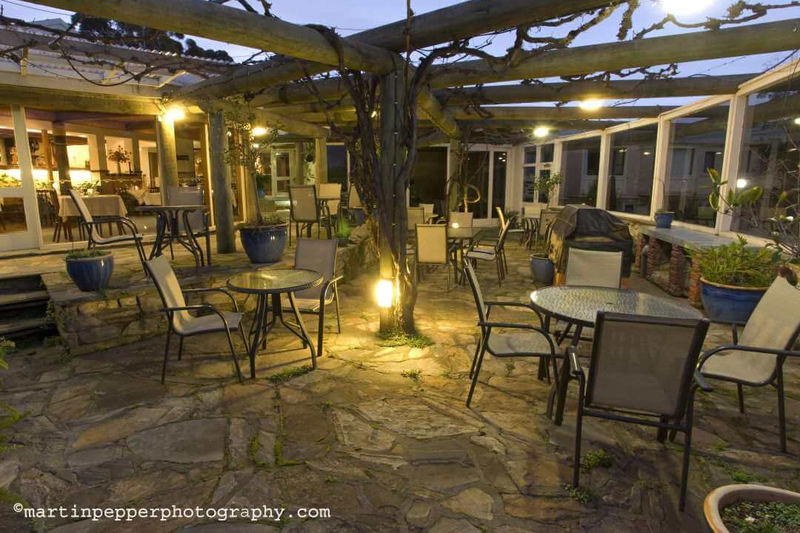 Later, we arrive at the Peppers Waymouth Hotel or Stamford Plaza for our next two nights. Day A Freedom Day to spend as you please. Take a look around Adelaide on foot or perhaps take an optional tour to the famous wine growing region of the Barossa Valley. Alternatively a lunch cruise along the Murray River is a lovely way to spend a few hours. This morning we head to the airport for our first internal flight to Melbourne, the second largest city in Australia. It’s also one of the most historic, as seen in the stunning and extremely well-preserved Victorian architecture of its public buildings and grand houses. 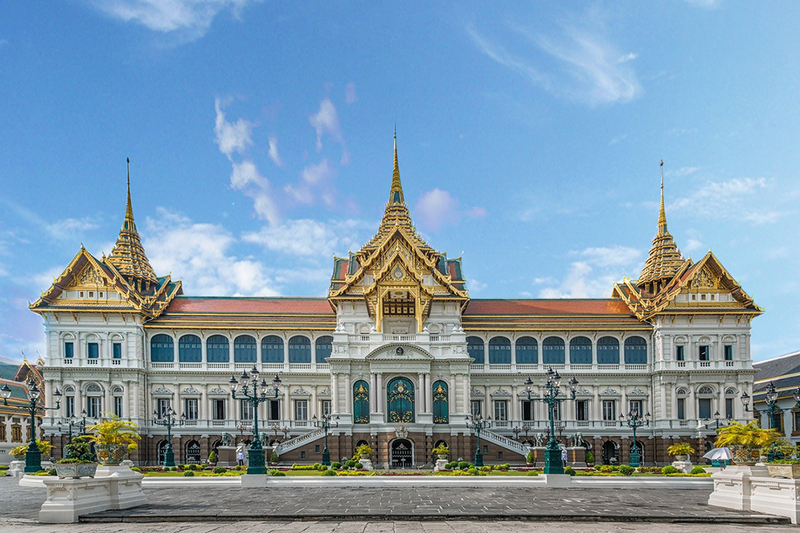 Once we arrive, you’ll get to witness the gorgeous architecture and much more with a sightseeing tour of the city. Among the places we will visit are the Victoria Markets, the Melbourne Cricket Ground, Captain Cook’s Cottage (which you can also enter at your own expense), the Rod Laver Arena and Federation Square. After soaking up these sights, we also head out of the city centre to see two lovely waterside suburbs: Port Melbourne and St Kilda. 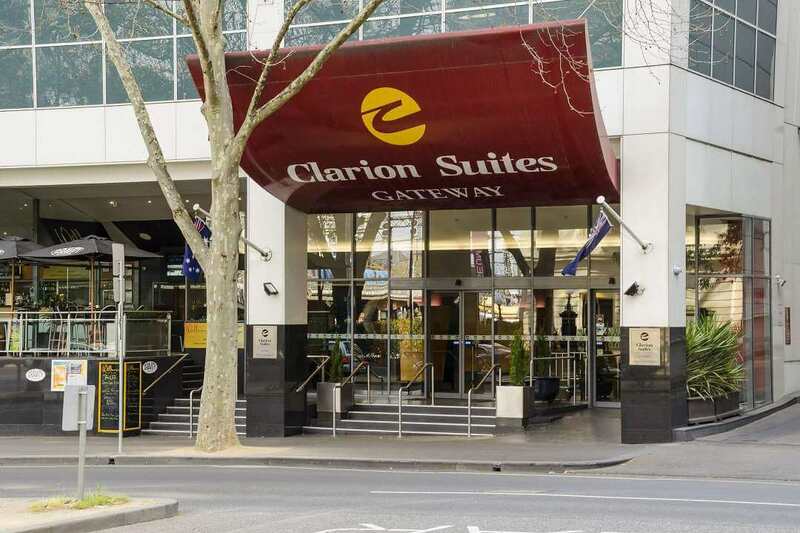 For the next three nights, you’ll be staying at the four-star Clarion Suites Hotel, which is set in a great location just a short walk from the fashionable South Bank. This is our ﬁrst Freedom Day in Melbourne, where we have the opportunity to take a trip to Phillip Island, home to the world’s largest colony of little penguins, to view the ‘Penguin Parade’. Alternatively, take the Puﬃng Billy steam train through the Blue Dandenong Ranges, explore the city’s most famous sporting landmarks or take dinner on an historic tramcar. Melbourne is a place offering so much to see and do, so we are offering a second Freedom Day to enjoy even more of this wonderful part of Australia. Today you can also join us for a tour along one of the most spectacular coastal drives in the world, the Great Ocean Road. Departing from Torquay, home to the world-famous Bells Beach, our tour will take us along Victoria’s dramatic coastline to our end destination, the iconic Twelve Apostles. Following breakfast this morning, we board our ﬂight via Alice Springs to Uluru (Ayers Rock) in Australia’s Red Centre. Before landing we may have the opportunity to view the world’s largest monolith from our aircraft. Rising from the ﬂat surrounding scrubland, Uluru is a site of deep cultural signiﬁcance to the Aboriginal communities of the Northern Territory. Upon arrival we make our way to the four star Desert Gardens Hotel. Later, we depart for a rock base tour enabling us to discover more about its historical and cultural importance. Enjoy a glass of sparkling wine with your travelling companions whilst witnessing the changing colours of Uluru as the sun begins to set. It’s truly a photographer’s delight. 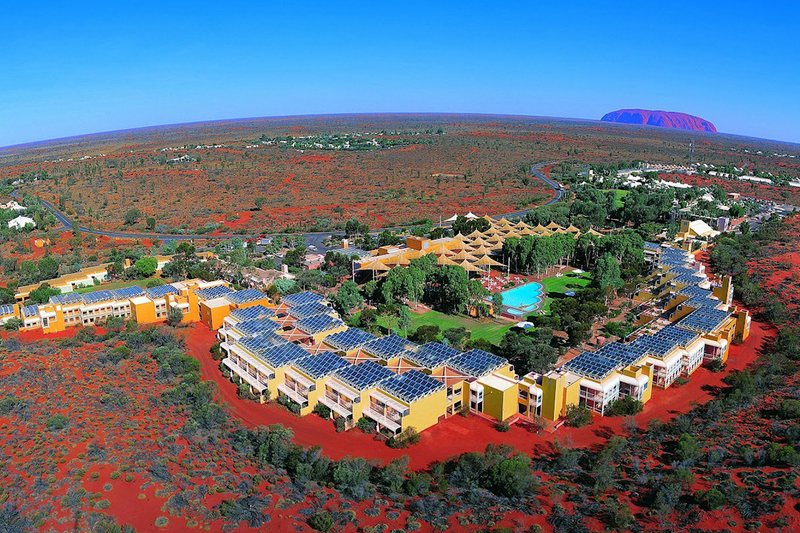 This morning, we have the option of viewing Uluru at sunrise. After breakfast we leave for a tour of the impressive series of rounded sandstone domes known as the Olgas, before travelling along the scenic Lasseter and Stuart Highways to Alice Springs. Upon arrival we make our way to the four star DoubleTree by Hilton. 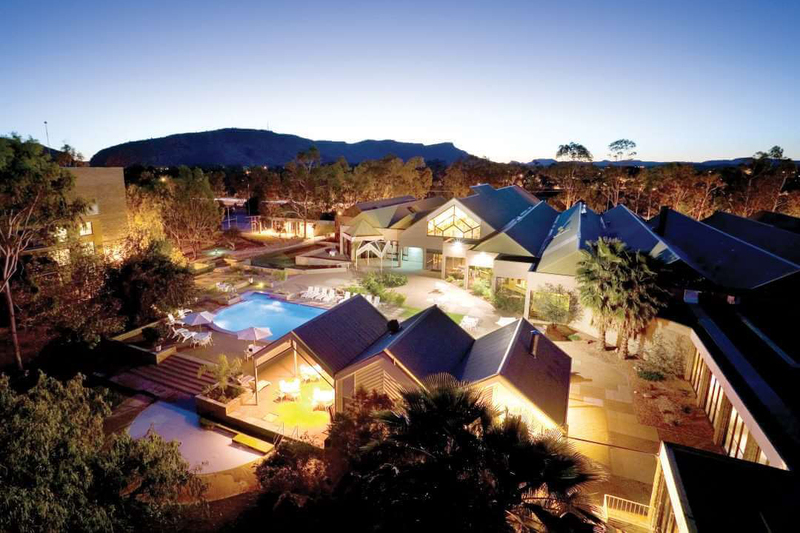 Nestled within the MacDonnell Ranges, Alice Springs is an iconic town made famous by its rich pioneering history and ancient indigenous culture. This morning you may wish to take an adventure in slow motion on an optional hot air balloon trip over the outback landscapes. Later, we board our coach and enjoy a sightseeing tour. Visits include the Royal Flying Doctor Service, the School of the Air, and the Old Telegraph Station, now a museum and the site of the old springs from which Alice gets its name. Later in the afternoon it’s time to make our way to Alice Springs Rail Terminal ready for our magniﬁcent overland rail journey to Darwin, on Australia’s northern coastline. Known for being one of the world’s iconic rail journeys, The Ghan was named after the Afghan cameleers who once traversed this route. Our twin accommodation is in Gold Service cabins, air-conditioned, private sleepers, all with upper and lower bunk beds, en-suite shower, wash basin and toilet. Single travellers will be accommodated in Gold Service single cabins, which are conﬁgured as a lounge chair by day, converting into a bed at night, with shared bathroom facilities at the end of each carriage. Whilst on board, all our meals are included, as are a wide selection of alcoholic and non-alcoholic drinks. Following dinner in the Queen Adelaide Restaurant, enjoy drinks with your travelling companions in the Outback Explorer Lounge. After a leisurely on-board breakfast, The Ghan arrives into Katherine, where we have the opportunity to visit the awe-inspiring Katherine Gorge and the surrounding Nitmiluk National Park. Katherine Gorge is one of a series of thirteen sandstone gorges the Katherine River has carved into the landscape over time, and during your visit, you’ll learn all about how the gorge was named, as well as the local flora and fauna. After our stop, we once again board The Ghan for lunch and the final leg of the train journey to Darwin. 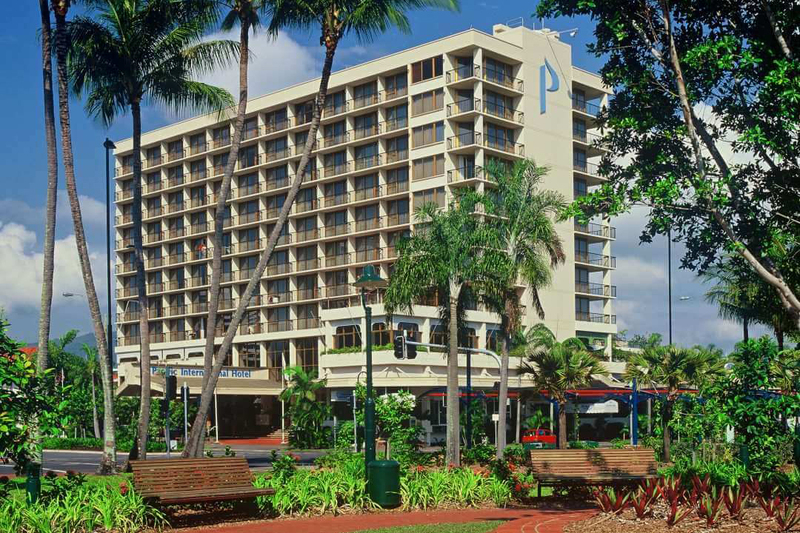 Here we’ll be staying at one of two quality hotels on Darwin’s esplanade: Mantra Esplanade or Doubletree by Hilton Esplanade. Darwin is the capital of Australia’s Northern Territory and is known for its laid-back fusion of frontier outpost and modern city. Your day has been left totally free to spend in your own particular way. Perhaps visit the Defence of Darwin Experience, an immersive, interactive multimedia experience telling the story of Darwin’s role in World War II – a very important time in Northern Territory history. Alternatively visit the thundering waterfalls, rainforest pockets and sacred sites of Litchﬁeld National Park. For those wishing to venture further aﬁeld, a full day overland or ﬂightseeing excursion to Kakadu National Park can be arranged. We rise early to make our way to the airport for our one-stop flight to Cairns. 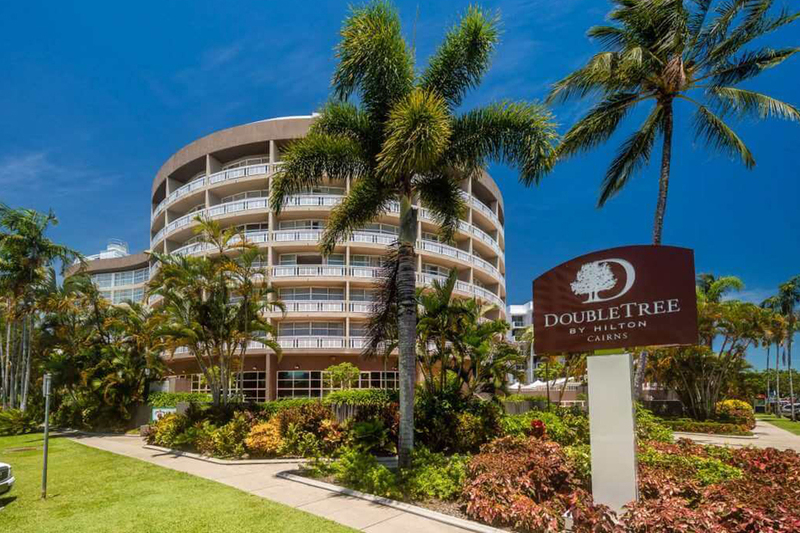 Once we arrive in this coastal city, we will be transferred to our home for the next four nights, the four-star DoubleTree by Hilton, ready for our adventures to the Great Barrier Reef and beyond. No holiday to Australia is compete without a visit to the Great Barrier Reef, a World Heritage Site and one of the world’s most famous natural wonders. It’s a truly once in a lifetime experience, with its stunningly beautiful coral and colourful marine life making this a place like no other. Our full-day excursion to the Great Barrier Reef begins with a journey aboard a high-speed catamaran to the Marine World platform on the Outer Reef. We have five hours here at the Outer Reef for you to enjoy as you wish, and you don’t even need to get wet to see the wonders of the Reef with a glass-bottomed boat, underwater observatory and semi-submersible reef viewer all offering the chance to see the array of life and colour beneath the water. For the more active, you can snorkel in the sheltered coral lagoon, or, for an additional cost, join the marine biologist on a snorkel safari or perhaps have a go at scuba diving. There is also the option to see the reef from above on a scenic helicopter flight. Today is another of our Freedom Days to spend how you wish in Cairns, although we are also offering an optional excursion to the rainforest village of Kuranda. Our visit begins with a performance by the local Tjapukai people of dance, music and storytelling, before we take the Skyrail Rainforest Cableway to Kuranda village, ascending above the treetops with far-reaching views over the rainforest. Once in Kuranda, there are several pleasant ways to spend the next few hours, including perusing the markets, visiting the butterfly sanctuary or exploring the Koala Gardens. We will then make our way back to Cairns on the unique Kuranda Scenic Railway. Passing over 40 bridges and through 15 tunnels, along one narrow part the track even has to cling to the rock face: a railway journey to remember. This is the second of our Freedom Days during your stay in tropical northern Queensland. 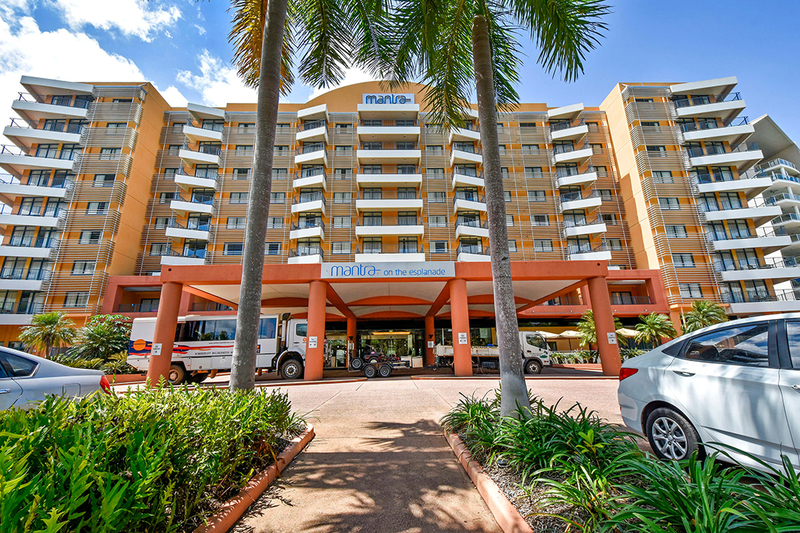 If you prefer to stay in Cairns today, there’s much to see and do, including numerous museums and art galleries, as well as over 200 walking tracks, each leading somewhere different. Today you can also come with us the nearby Daintree Rainforest, the world’s oldest rainforest. It’s also home to the World Heritage Site Cape Tribulation, an isolated headland where the rainforest meets the reef. During our rainforest tour, you’ll see the rainforest’s dazzling variety of flora and fauna, taking a walk with an Aboriginal guide as well as embarking on a cruise to spot saltwater crocodiles. This morning we leave Cairns, heading to the airport ready for our flight to Sydney. 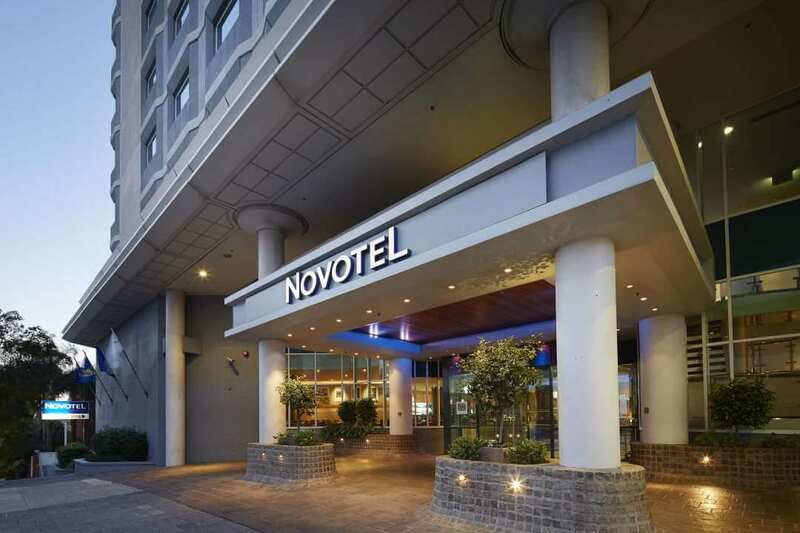 Our transfer will then take us to our new home for the next four nights, the North Sydney Harbourview Hotel, offering incredible views over Sydney Harbour Bridge. The sparkling harbour is of course also home to the world-famous Sydney Opera House. 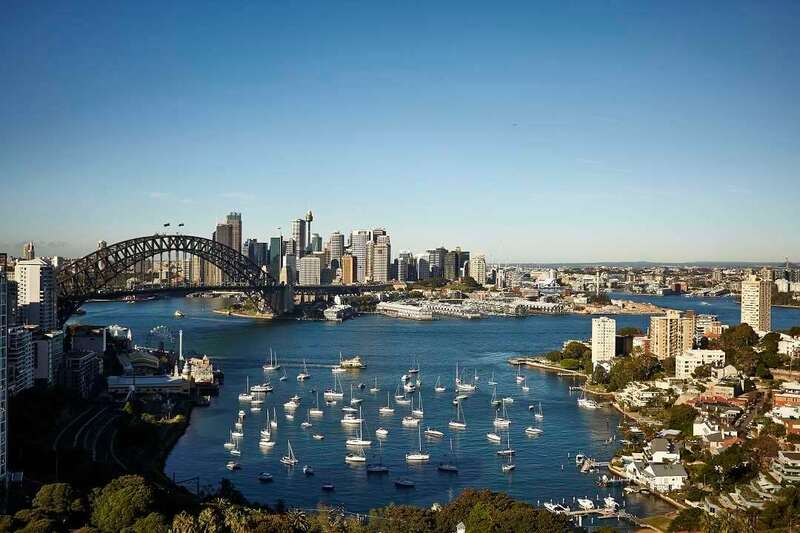 Sydney has plenty to discover outside of the harbour however; for instance its suburbs promise a real change of scenery with their pristine sandy beaches and native bushland. The heart of the city itself is also bursting with excellent shopping opportunities, world-class eateries and a lively arts culture. This morning we will see Sydney in all its glory with an extensive sightseeing tour and luncheon cruise. 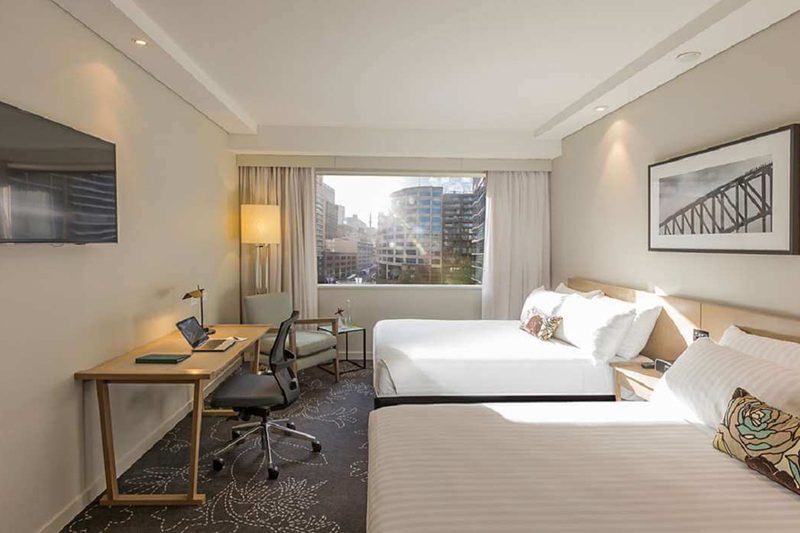 We start by travelling through some of the city’s trendiest inner city areas to the iconic Bondi Beach, before passing the beautiful Rushcutters Bay and Double Bay on our way back to the city centre. Our tour will then bring us to Hyde Park, Parliament House and Mrs Macquarie’s Chair. This unique ‘chair’ and landmark is in fact an exposed sandstone rock, cut into a bench shape in 1810 by convicts as a gift to Governor Macquarie’s wife. It’s not only a fascinating landmark but also the perfect spot for a photo of the Opera House and Harbour Bridge. The sightseeing tour will then lead us on to a relaxed luncheon cruise around the stunning Sydney Harbour – the perfect way to end our first morning in Sydney. Today is the first of our Freedom Days in Sydney, though you are also welcome to join us on our optional trip to the Blue Mountains, a UNESCO World Heritage Site. This National Park is home to an expansive area of Australia’s iconic bushland carpeted with gum trees, with deep gorges and towering peaks making this a simply spectacular place not to be missed. During our excursion, we will visit a series of lookouts where you can take in some of the best views of the Blue Mountains, including Echo Point, the prime viewing point for the striking Three Sisters rock formation. We will also take in the beautiful Wentworth Falls and the village of Leura, which showcases many of the region’s local artists and hosts several garden festivals. Explore Sydney at your own pace with this second Freedom Day. Today there’s the opportunity to take an optional behind the scenes tour of Sydney Opera House, otherwise the choice is completely yours. Our Tour Manager will be happy to help and lend their recommendations – you could do anything from visiting the Kuringai National Park to climbing the Harbour Bridge! Sydney is home to some amazing experiences and our Tour Manager will do their best to suggest the best for you. Our last day in Sydney is yours to enjoy as you like until we depart for the airport: the end of an amazing adventure in Australia. Flights to our chosen UK airport all stop in Dubai for a change of aircraft before the second leg back to the UK. Extend your adventure with a homebound stopover in either Bangkok, Dubai, Hong Kong or Singapore for just £69 per person when sharing a room or £138 for single occupancy. 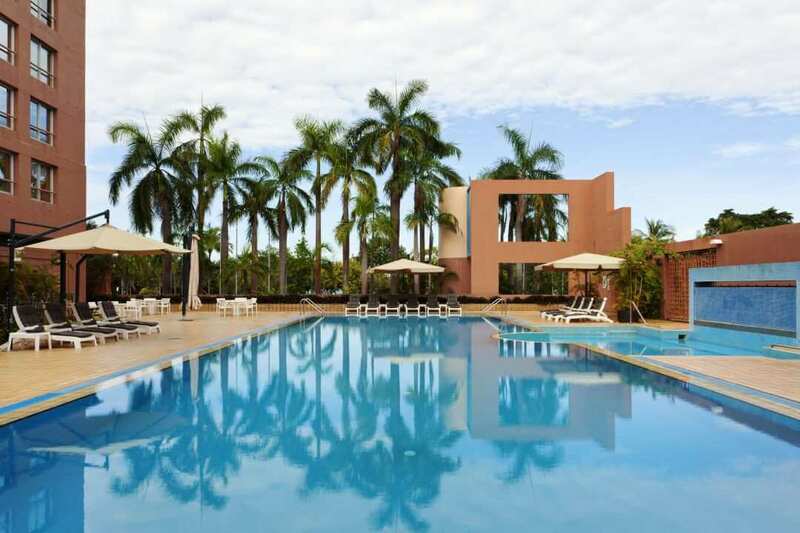 Two nights accommodation in a four star hotel, full daily breakfast and airport transfers are all included in the price – please see the prices and departure dates available for full details. In order to take up this incredible special offer, your booking must be made by 1st July 2019, with your tour departing after 1st August 2019. 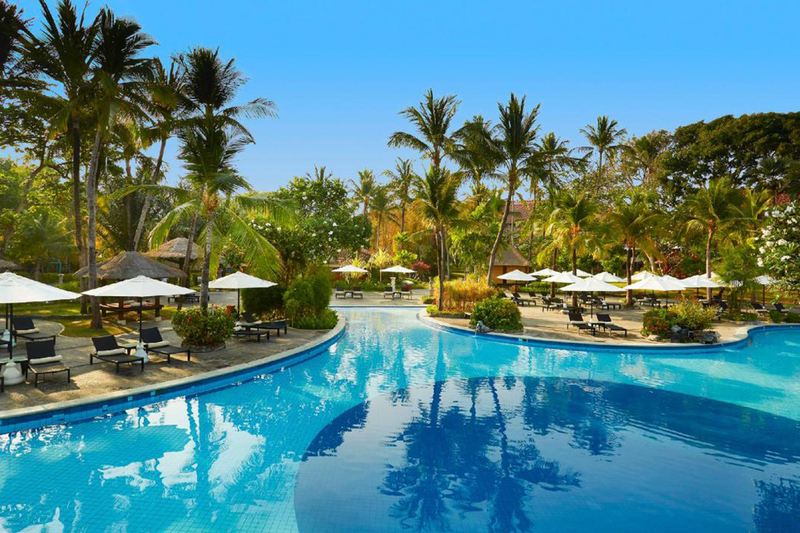 We also have another offer available of a three-night homebound stopover in Bali, one of the world’s most beautiful islands, for just £249 per person when sharing a twin or double room, or £498 for single occupancy. You can take advantage of this excellent opportunity if your chosen Very Best of Australia tour departs after 1st August 2019. This morning our unforgettable journey comes to an end back in the UK at your chosen airport: either Birmingham, Glasgow, London Heathrow, Manchester or Newcastle. Why not combine with a tour of New Zealand? For an experience of a lifetime exploring both Australia and New Zealand, we offer the chance to embark on the ultimate Australasian adventure with our Australia and New Zealand combination tours. These tours combine The Very Best of Australia with our excellent Magnificent New Zealand or Very Best of New Zealand tours. Take a look at our Australia and New Zealand combination tours for more details. We believe in offering great value for money, so on the Very Best of Australia tour, so much of what you do and see is already included in the price. That’s all your scheduled international flights, overseas transfers, expertly chosen hotels, daily breakfast, experienced local Tour Mangers, and many amazing excursions, including a two night stay on Kangaroo Island, already paid for. All you need to do is bring a bit of spending money. ^Christmas departure: An altered itinerary including Christmas dinner and drinks in tropical Cairns and New Year’s Eve dinner, drinks and live music overlooking the Sydney Harbour Bridge. The Ghan does not operate on this date. Please click here for an itinerary. Throughout your Australia tour holiday, we want you to enjoy a good mix of visits to must-see landmarks and leisure time to experience your destinations in a way that suits you. For example, you might like to try an adventurous activity like climbing Sydney Harbour Bridge or a hot air balloon ride over Alice Springs, or if you prefer a more relaxing experience, perhaps take a cruise to the wineries along the lovely Swan River . Thanks to our Freedom Days, you’ll have the chance to choose an experience to enjoy depending on what interests you most. Travelling to the other side of the world naturally means you have a long journey ahead. So to help break up your flights, we’re pleased to include a two-night outbound stopover in either Dubai or Singapore. Alternatively, you may choose to stay in Perth for an extra two nights before the beginning of your tour. And when we say included, that means your airport transfers, accommodation on a bed and breakfast basis and a comprehensive city tour (if choosing Singapore or Dubai) is already taken care of. The offer is available on tours departing after 12th October 2019 and is subject to availability of flights and accommodation at the time of booking. Your special offer homebound stopovers are Hong Kong, Singapore, Bangkok or Dubai. The offer includes return transfers and accommodation for two nights including full breakfast. The reviews for the Very Best of Australia tour tour found below have been independently verified by Feefo, who are a leading independent reviews company. We were taken to all the places we wanted to see, accommodated in first class hotels, flew from a town to another without a hitch, had a sight-seeing tour in every city and were always accompanied by James, our Australian guide who we couldn't praise enough. The organisation and skill devoted to making this special was exceptional. From the tour managers down to the coach drivers and the choice of hotels there is really nothing I could fault. One big, perfect adventure from start to finish. Thank you!